It is my distinct pleasure to have been invited to write a blog on Akili’s core value of Performance. Performance: Failure is simply not an option. Our projects are not judged to be complete until the expectations of each individual client have been met or exceeded. No. Every key component is mission critical: it all has to work well together in order to ensure the safe and reliable high-performance outcomes you can trust. And so it goes with the delivery of Akili’s consulting services. 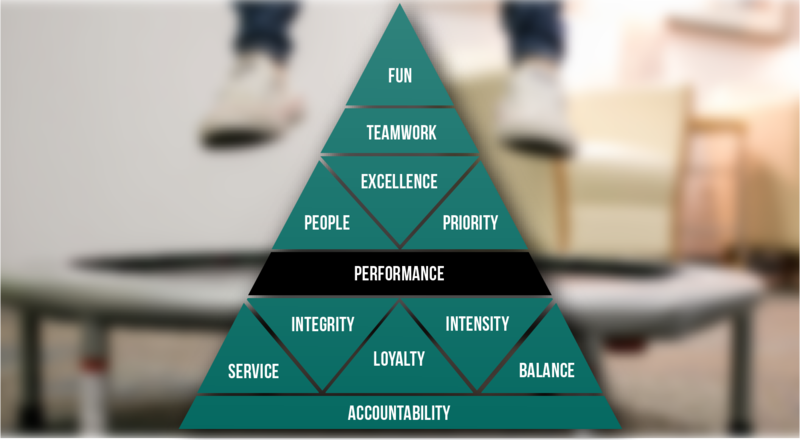 High performance demands the best of all contributing elements with every day and each client engagement. No exception. The definition above has two parts that combine to define ultimate performance, or success. Our clients do not engage us to maintain the status quo. They engage us to move the dials. Dials do not move unless we make real and meaningful changes in our client’s ability to increase performance. It is a two-way street: high performance on our part, leads to high performance outcomes in our client’s business processes. The second part of Performance is, “Our projects are not judged to be complete until the expectations of each individual client have been met or exceeded.” Truly improving performance demands shifts along three key dimensions: People, Process, and Technology. We cannot just show up and deposit a “technology solution” on the doorstep, collect a check, and walk away calling it a success. Performance is not an event, it is a way of life. It has to be a DNA level commitment. It is different from one-hit wonders and more of a lifetime achievement award. High Performance is an outcome, not a driver trait, per se. It is the result of a collection of important factors working in collective harmony and with the added mental expectation that you must perform and you must produce rock-solid results. For Akili, high performance lies in the quality of our relationships and our ability to quickly assess and diagnose with laser-guided precision the factors that are impeding high performance. It lies in our ability to envision, describe, and collaboratively develop process and technology changes that liberate our client’s genius, enabling permanent performance improvement. That is what moves the dials.